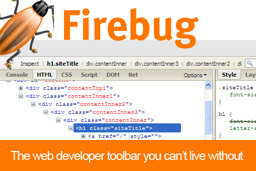 If there is one tool that every web designer needs then I’d have to say that it is Firebug. Once you have used it a few times, you will forever feel naked without it. Firebug is a web development toolbar that adds onto Firefox and allows web designers and developers to analyse and edit a website in real time. Firebug is a great time saving device for the web designers that use it. I’ll outline a few of its features in this article. 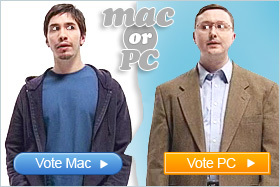 If you would prefer to just try it out for yourself then you can download it now. Inspect and edit HTML on the spot. Edit CSS on the spot, tweak the styles until you get the style you want. Visualise the CSS with the ability to outline the elements on a web page including divs and block level elements. See the margins and padding on certain elements. Monitor network activity so you can see each file that a web page loads as well as the time it takes to load. Error notifications quickly bring your attention to any errors on the page. Find DOM objects on the fly. Firebug is simply a great web development tool that I think every web designer should have.